Struan is a modern, detached, two-bedroom bungalow in a quiet semi-rural location in Croft Road, Lochcarron. 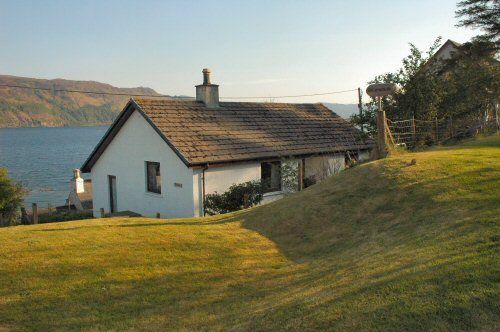 It is south-facing in an elevated position with excellent views across Loch Carron towards Attadale and the mountains to the south. All local village amenities - shops, pub, restaurants, etc., are within a few minutes' easy walk. Lochcarron is an excellent base from which to explore Wester Ross and Skye & Lochalsh with places such as Applecross, Shieldaig, Torridon, Gairloch, Plockton and the Isle of Skye all within very easy reach for trips out.